If you’re a first-time author (or even if you’re a seasoned one), the importance of developing a positive working relationship with a great editor can’t be overstated. We’ve written several posts for authors on working with editors, but it’s also important to understand your editor’s point of view. Before you hire a freelancer, there are a few things to keep in mind. Like all business relationships, the process of hiring an editor has certain rules of etiquette. If you know these rules ahead of time, both of you will get the most out of working together. Everyone wants to get the maximum value for their dollar, and it can be really tempting to haggle for a lower price when you’re negotiating with a freelance editor, especially if you’re on a budget. But good editing, especially if it’s developmental, takes time and concentration. A freelancer can’t necessarily work eight hours a day and still maintain the quality of his or her work. If you think your editor has quoted you an exorbitantly high rate, refer to a resource like the Editorial Freelancers Association. If you still think the rate is too high, simply tell the editor that it is out of your price range. If he/she is willing to work for a lower price, let them make the offer. Nothing is more annoying to a freelancer than dealing with a client who wants to lowball them. After all, you want your editor to respect your work; do them the same courtesy by respecting the value of theirs. Before you hire an editor, you need to make sure that you understand exactly what you’re paying for. For instance, I’ve had clients contact me for what they said was an “editing” job, only to find out after the first round of edits that what they really wanted was a ghostwriter. Be clear from the very beginning about exactly what you’re looking for, and learn the lingo. Proofreading is not the same as copyediting. Copyediting is not the same as fact-checking. Also, make sure that you make it clear to your editor how much you expect to be involved in the process. Do you expect chapter by chapter phone conferences? If so, make sure that it’s clear to the editor. It’s always a good idea to provide your editor with a timeline, and understand what a reasonable work deadline is. If you just finished a first draft of a novel, don’t ask for your entire manuscript to be copyedited in a week. Set reasonable expectations before you sign a contract with a freelancer. This will protect both of you from future misunderstandings. Above all, treat your editor as the professional that he or she is. No one wants to be treated as if their time and skills aren’t valuable. If you want your writing to be the best it can be, a healthy working relationship with your editor is a must. If you still find the process of hiring a freelancer daunting, StyleMatters offers editing packages for all budgets. 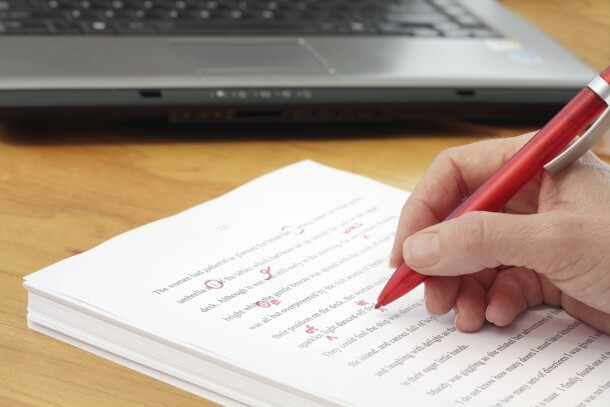 Whether you need basic proofreading or someone to coach you through the entire writing process, we can connect you with an editor who will meet your needs.